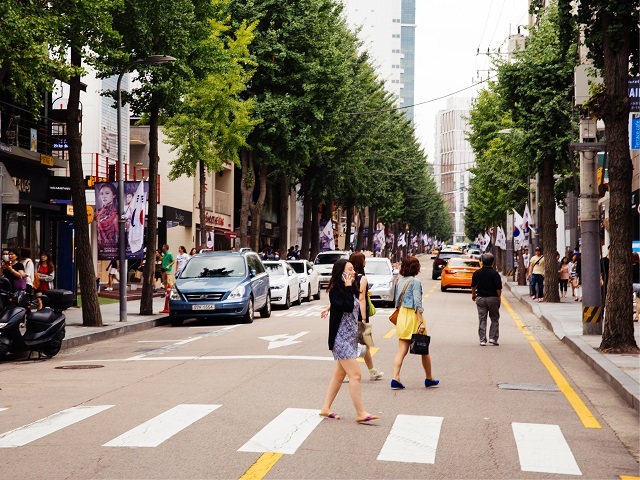 The ICLEI World Congress takes place in Seoul, South Korea this year, and serves to connect city leaders, enable collaborative partnerships, and facilitate knowledge-sharing for more sustainable development around the world. Photo by Seoul Korea/Flickr. Editor’s note April 14, 2015: This article was updated to include a reference to the Bus Rapid Transit Centre of Excellence. The world has never been more urban than it is now, and this trend isn’t expected to slow down anytime soon. By 2050, the world will have grown by 2.5 billion additional urban dwellers, with almost all of this growth occurring in cities in the developing world. According to 2014’s Better Growth, Better Climate report, the world will need to invest about $50 trillion in infrastructure every year for 15 years to keep up with demand. India, for example, is estimated to need 350 to 400 kilometers of new metro and subway lines every year—20 times what it’s achieved in the past decade. While this is a tall order, it also presents great opportunities to improve our cities. To ensure that these investments result in communities that are productive, livable and sustainable, we have to change how we build, manage, and use our cities. This means changing current patterns of land use, transportation, and lifestyles. Cities across the globe have already implemented many innovative solutions to become more sustainable and improve quality of life. But how do we go from individual, isolated successes to real change at a global scale? Cities worldwide are already experimenting with a range of sustainable solutions that have delivered measurable results. For example, bus rapid transit (BRT) systems are helping places like Mexico City avoid roughly 122,000 tons of carbon dioxide emissions annually and reduce traffic crashes by 20 percent. Not only has Mexico City’s Metrobús reduced citywide emissions, it has also created local benefits for citizens by boosting economic productivity and reducing traffic congestion. BRT systems like Metrobús can have a ripple effect of benefits, from greater access to jobs and education to long-term improvements in public health and road safety. Mexico City’s success with BRT did not happen overnight. It was achieved through sustained effort and much trial and error. But Mexico City’s success in creating sustainable urban transport solutions demonstrates that the tools for change exist. Cities around the world are developing their own localized, innovative answers to residents’ needs, and customizing both international best practices and emerging solutions to their own local contexts. Good ideas can’t produce positive global impact if they remain at the individual city level. While every city is different and not every tool will succeed globally, city leaders need to know about the range of solutions available to them, and how to customize these solutions to their own particular context. This can be a challenge for creating widespread change across diverse cities, and shows why the right ecosystems for change are crucial to making urban sustainability a reality. This has been the case for some cities interested in adopting BRT. The mid-sized city of Curitiba, Brazil was the first city to implement BRT with demonstrated success, but the spread of BRT (now in more than 190 cities) is the result of years of collaboration between city governments, international organizations, and private companies. A few key projects helped pave the way for the expansion of BRT from Latin America to India, China, and even North America and Europe, and a whole ecosystem of conferences, organizations, and knowledge-sharing platforms has since developed to foster the spread of BRT. As national governments began to benefit from BRT, they created their own funding mechanisms to help additional cities build their own systems and expand BRT at a global scale. The right ecosystem for change is an environment that supports innovation, sparks leadership, and builds partnerships. An ecosystem needs a global network of partners that can seamlessly distribute local innovations in real time so that cities worldwide have access to knowledge. It also needs local networks of partners who can bring ideas down to the individual city level and craft customized solutions. Both of these components must work in conjunction for cities to create lasting change. In the case of BRT’s global growth, active mayors like Curitiba’s Jaime Lerner played important roles by sharing their experiences globally and championing BRT as a solution for cities. Specific organizations and platforms, like the Bus Rapid Transit Centre of Excellence and BRTdata.org, standardized information and disseminated knowledge about BRT systems worldwide. Conferences, like EMBARQ’s Transforming Transportation conference, have provided forums for transport professionals, political leaders, and other experts to network, share insights, and learn about BRT’s many benefits to cities and people. There are similarly powerful opportunities outside of urban transport, as well. Addressing the challenges of rapid urbanization is a chance to make our cities more sustainable, healthy, and prosperous. However, this transformation won’t happen unless we share experiences and insights across borders, like city leaders are doing at the 2015 ICLEI World Congress this week. Doing this in a collaborative, supportive ecosystem can make other sustainable solutions a reality—not just in a few cities, but worldwide.